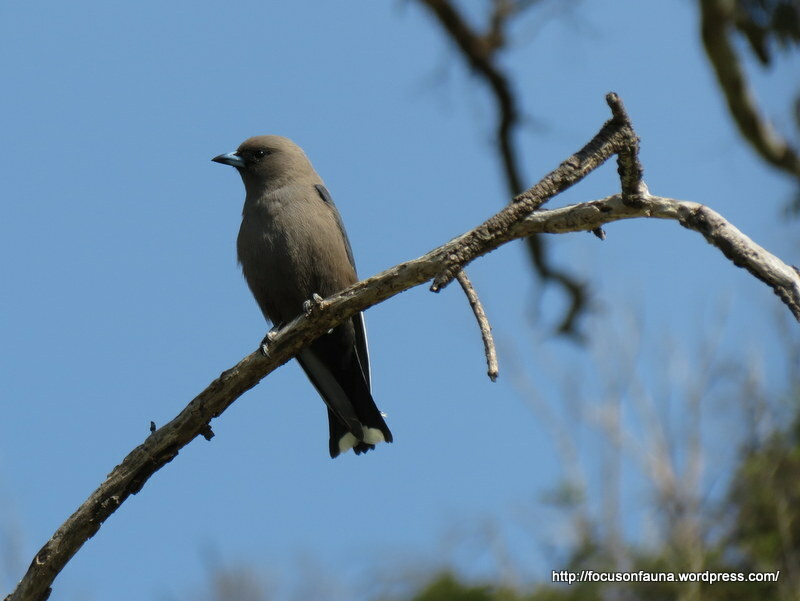 Last week a small flock of Dusky Woodswallows could be seen circling around the canopies of some tall Yellow Box and Grey Box trees on the steep east face of the Three Sisters, Flowerdale. 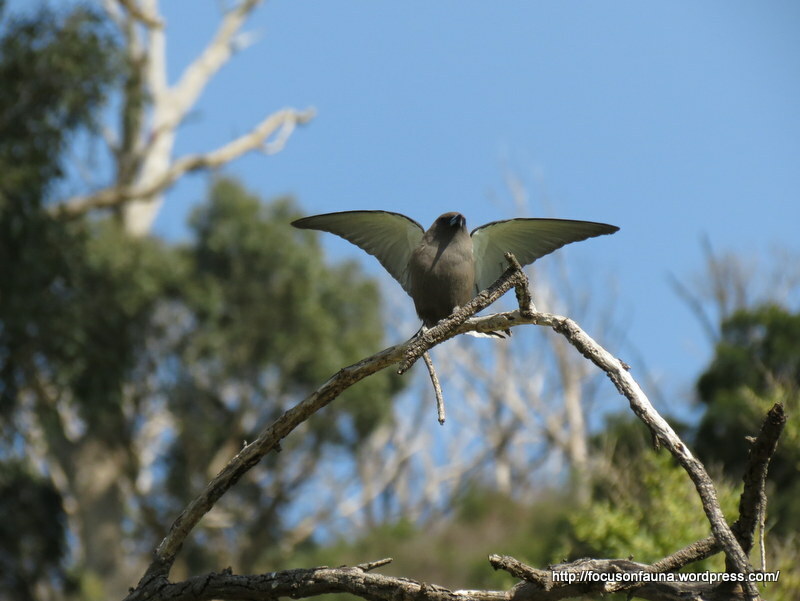 Between their sallies out searching for flying insects, they would settle on branches of the trees or on bare branches of lower shrubs, which is where one was spotted spreading its wings and quivering in what was presumably a courtship display. It was so absorbed in this display that it allowed itself to be photographed at quite close range. We have seen Striated Pardalotes engage in a very similar display in a large Yellow Box near our house. 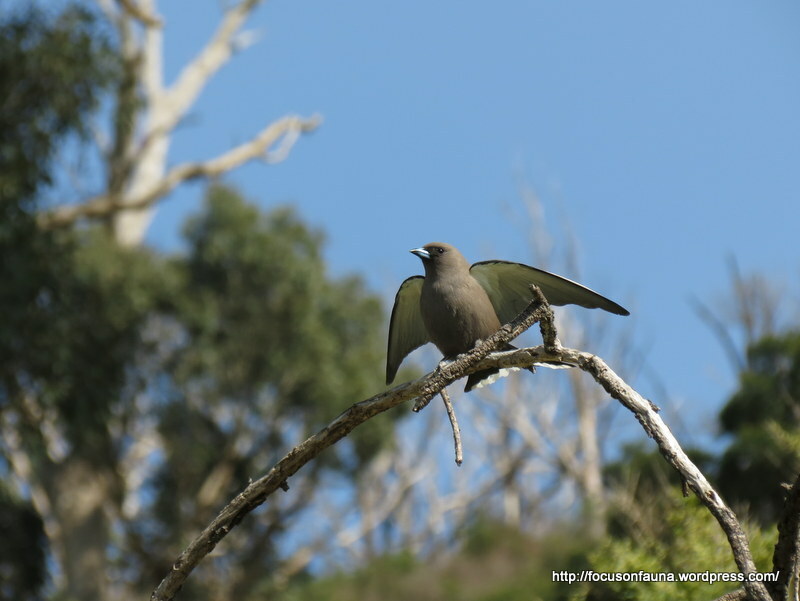 Dusky Woodswallows in south-east Australia are migratory and most head north for the winter, so these birds would probably be recent arrivals returning to the district. 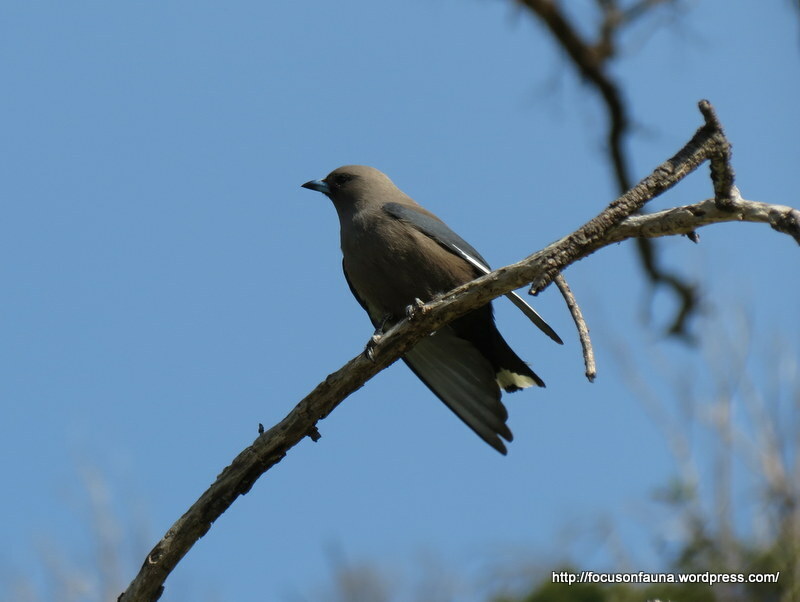 A key feature distinguishing them from other woodswallows is the white streak along the leading edge of the wings (see photo below).